A loan of $925 helped to buy food and home products to retail during Christmas. Marie-Claudette is living in Carrefour Feuilles, a suburb in the south of Port-au-Prince. Carrefour-Feuilles is one of the numerous poor neighborhoods in the capital. The 2010 earthquake left thousands dead in that area. Marie-Claudette's house had some repairable splits. Since then, she has been earning her living with a small grocery store that provides food and schooling for all her five children. Marie-Claudette, like many Zafen borrowers, has much courage to fight against poverty. That's why she does not give up strengthening 25 other women in her community. Today, she is in the committee board of a group. She is looking for a loan to buy food and home products in bulk to retail during Christmas. Portrayed from left to right are Maxcene (advisor), Cherestal (treasurer), Rosalie (secretary), Marie-Claudette (leader) and Alva (treasurer). This loan could be made to a small and growing business (SGB) or a cooperative. Please note that due to the risky nature of lending to SGBs and cooperatives, a market segment that is generally not served by microfinance organizations, Zafèn loans carry a significantly higher level of repayment risk than most other Kiva loans. The program has a repayment target of 70%, well below that of Fonkoze’s other portfolios. Lenders who choose to fund Zafèn loans should be aware of this risk. Fonkoze is Haiti’s largest microfinance institution, offering a full range of financial and development services to Haiti’s rural poor. 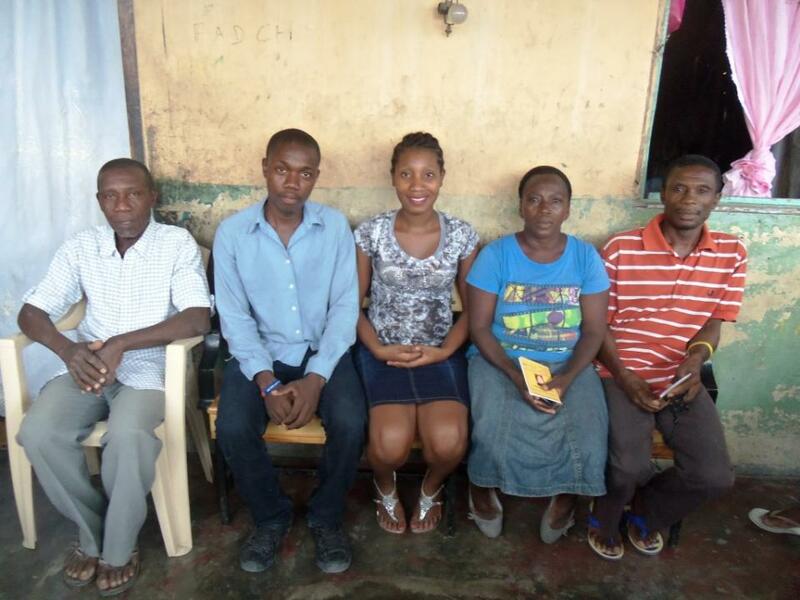 Zafèn is a program created by Fonkoze to provide soft loans, training and support for village savings and loan associations, as well as small and growing businesses in Haiti. Soft loans are loans that are offered at an interest rate below the market rate. Kiva shares Fonkoze’s goal of using innovative channels to alleviate poverty and create job opportunities. Zafèn is an innovative program administered by Fonkoze’s foundation in Haiti to provide flexible loans to small and growing businesses, which are generally not served by banks or traditional microfinance institutions due to the higher level of repayment risk they present. Kiva’s partnership with Fonkoze allows funding of larger loans to more Small Growing Businesses (SGBs) through its Zafèn project.